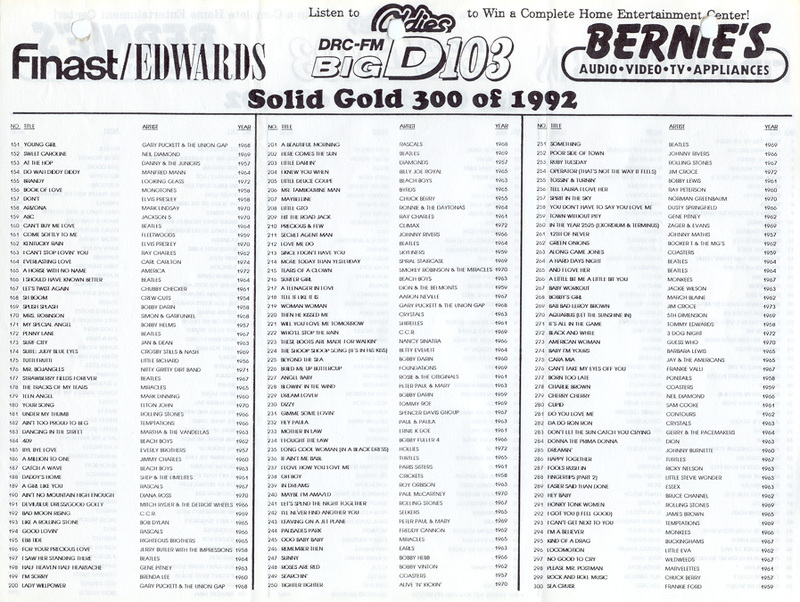 Big D began airing contemporary music in the months leading to the format change on August 18, 1960. 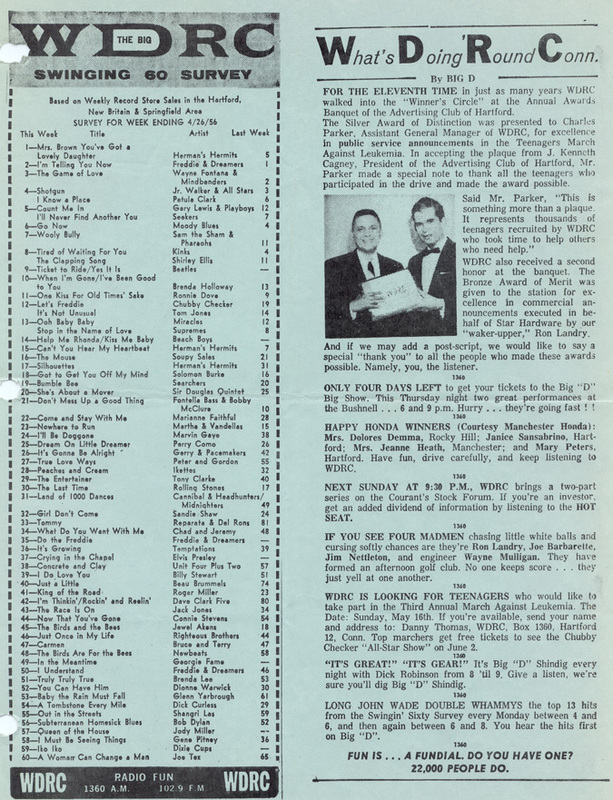 The survey pictured to the left is from May 23, 1960 and listed the top pop records of the week. 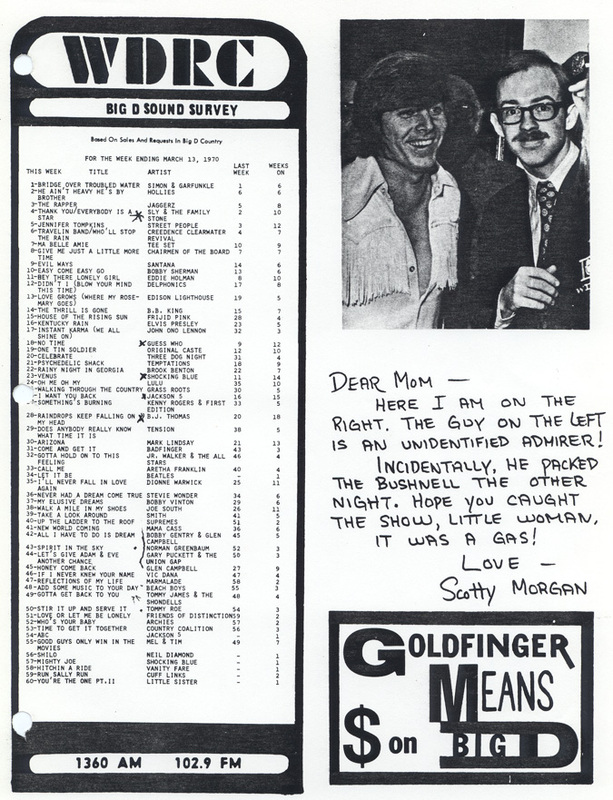 Thanks to Gene Knight, the owner, for supplying it. 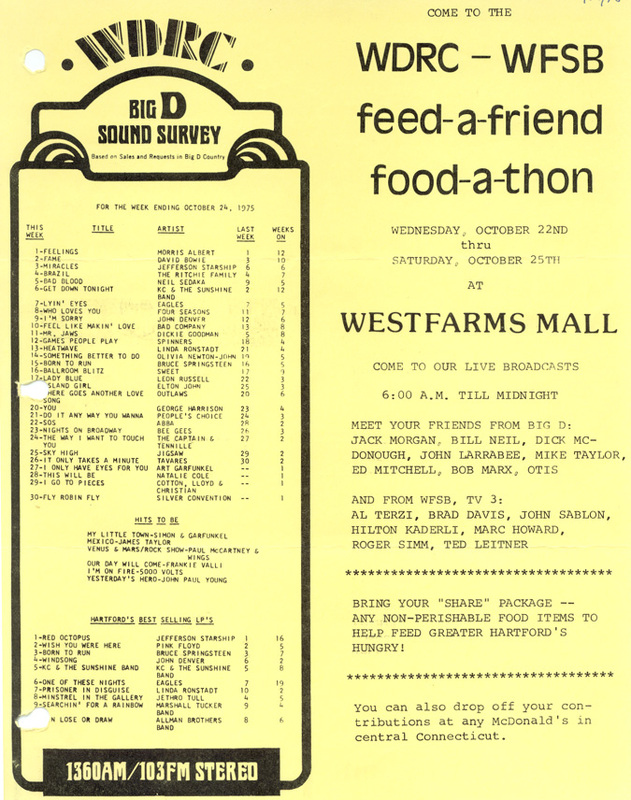 The pictured deejays are Ron Landry, Art Johnson, Jerry Bishop and Jim Raynor. 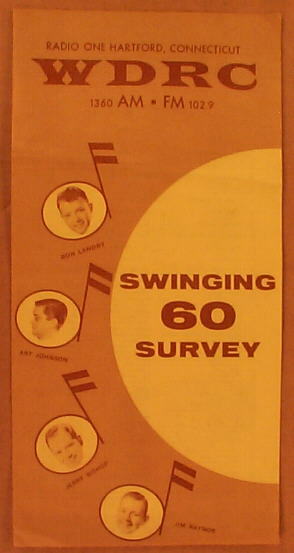 One unsolved mystery is the date the first Swinging 60 Survey was issued. 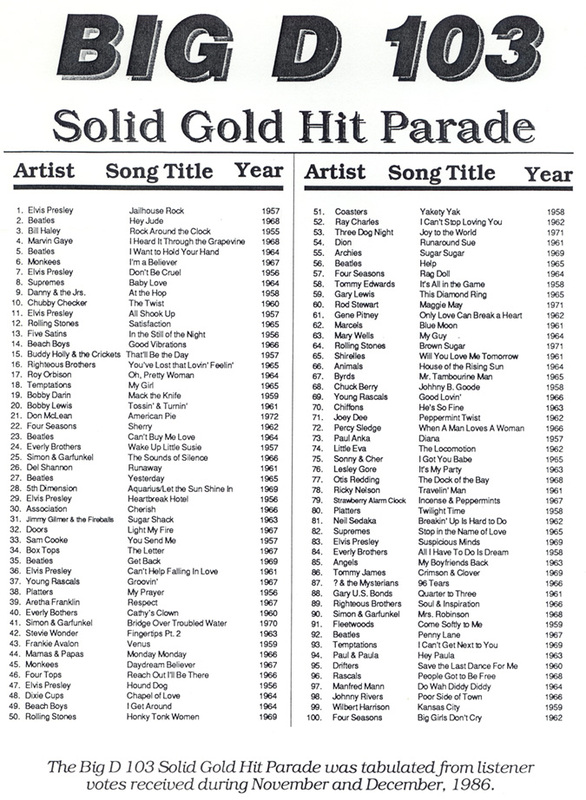 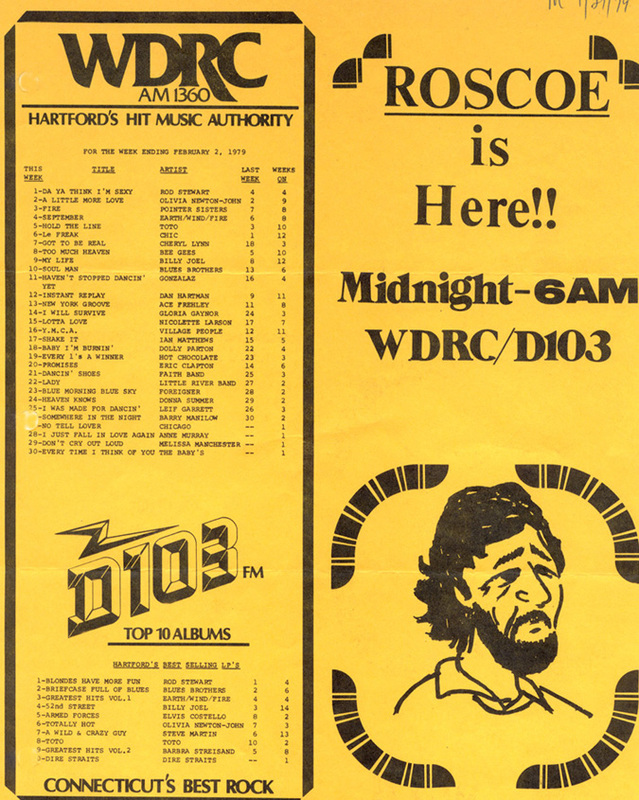 In its earliest years as a pop music station, WDRC was unusual in that it featured a sixty song playlist. 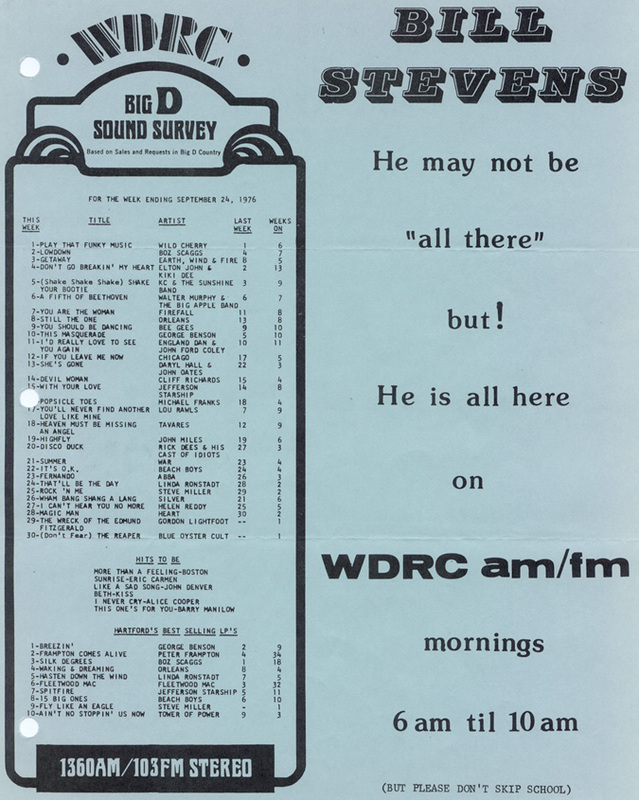 When WDRC began airing contemporary music there wasn't a very large library relative to the amount of music available today. 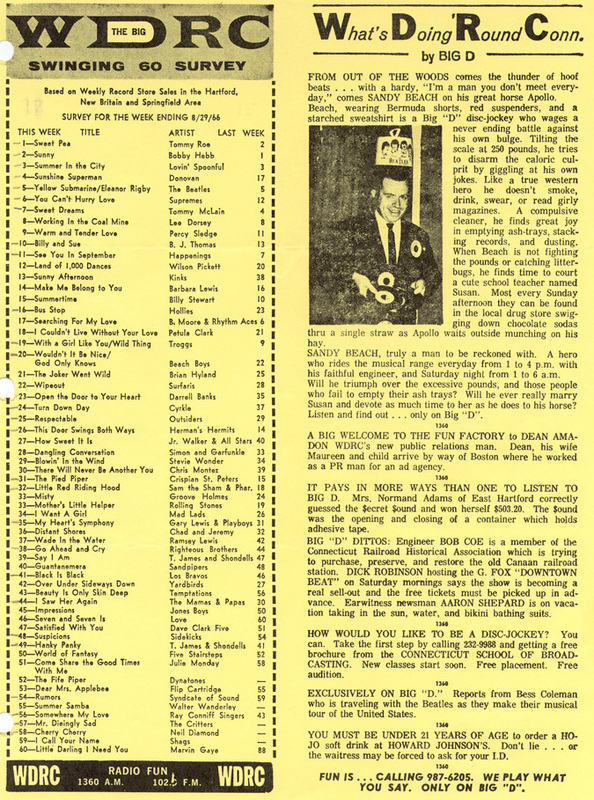 The Swinging Sixty provided diversity for listeners and made the station a haven for record promoters. 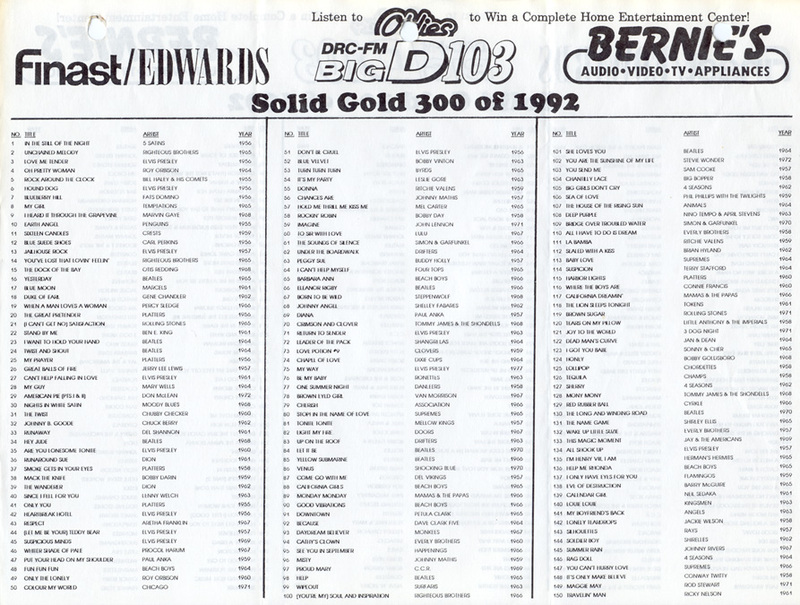 Big D had a reputation for breaking new hits. 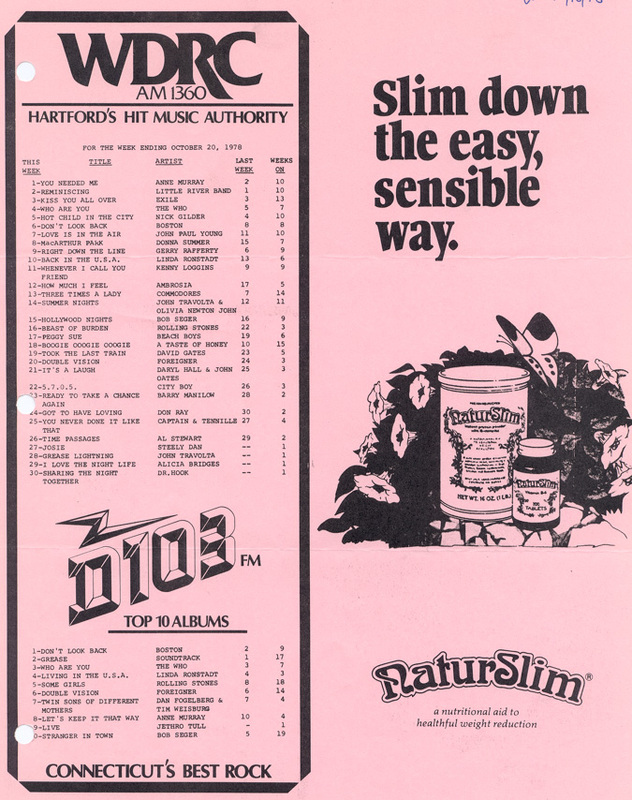 Intense competition from WPOP made Hartford an important market for record companies to try out new acts. 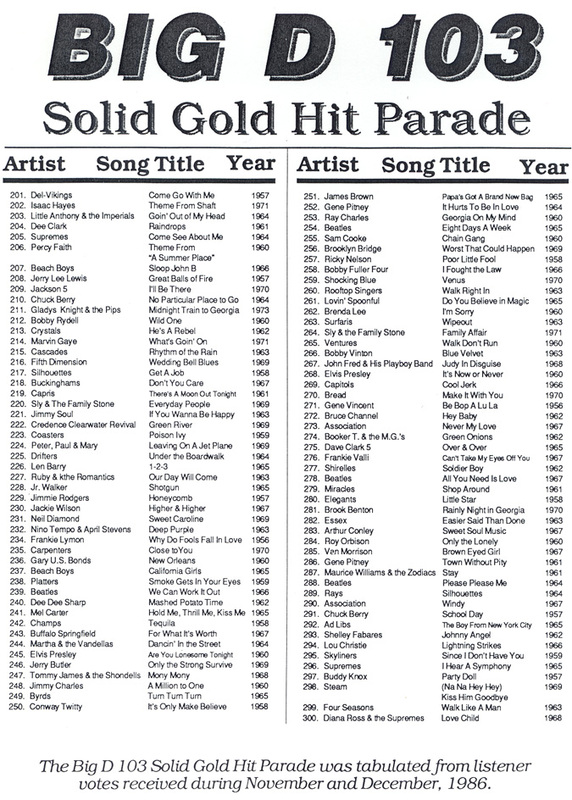 If a single made a Hartford playlist, it was on the way nationally. 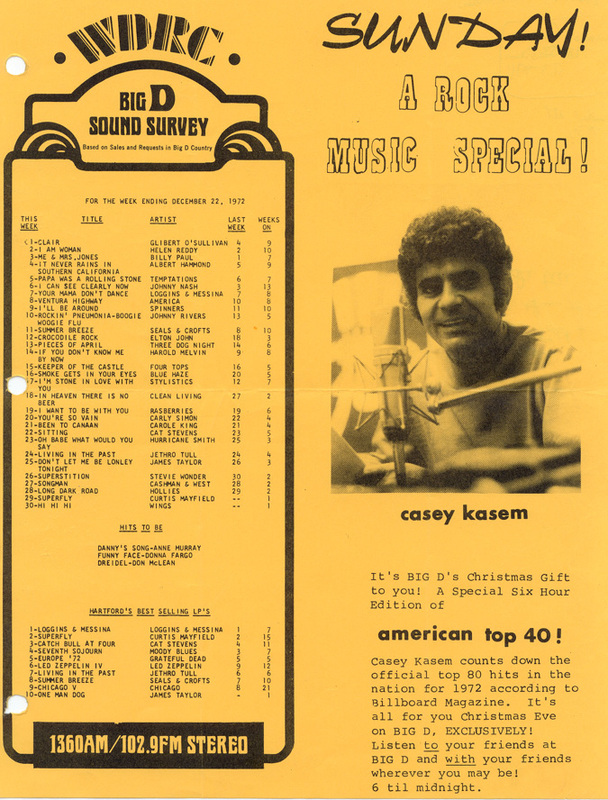 Not only were weekly playlists distributed in record stores, but for many years they were also published each week in The Hartford Courant, The Hartford Times or The New Britain Herald. 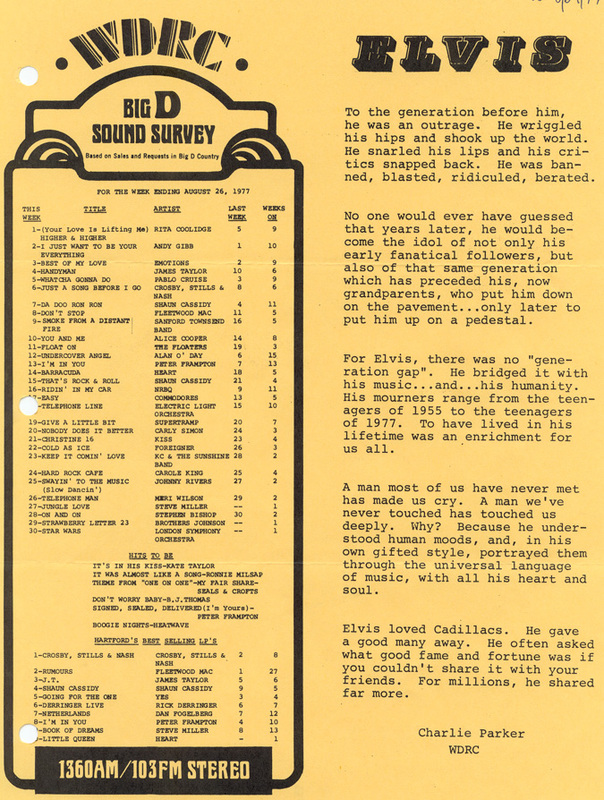 For the record, the last WDRC Swinging Sixty Survey was issued May 15, 1967. 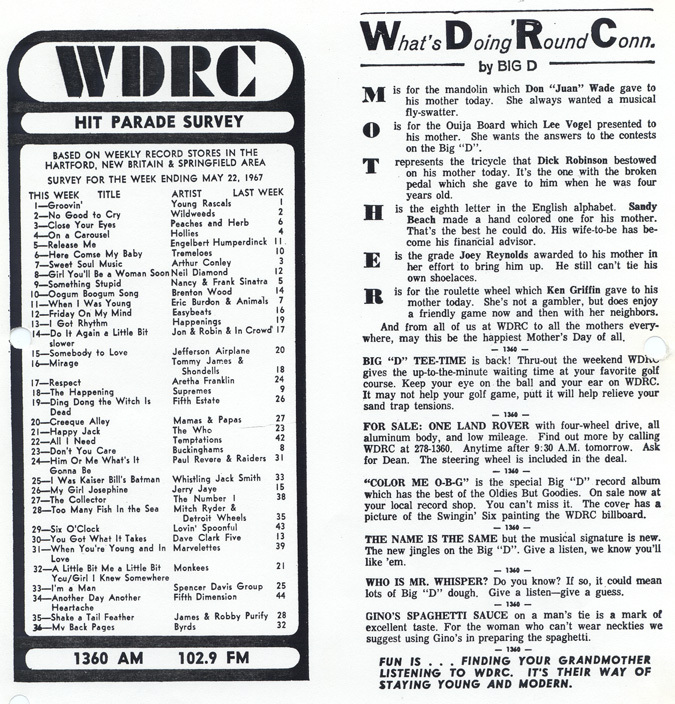 The first WDRC Hit Parade Survey was issued May 22, 1967. 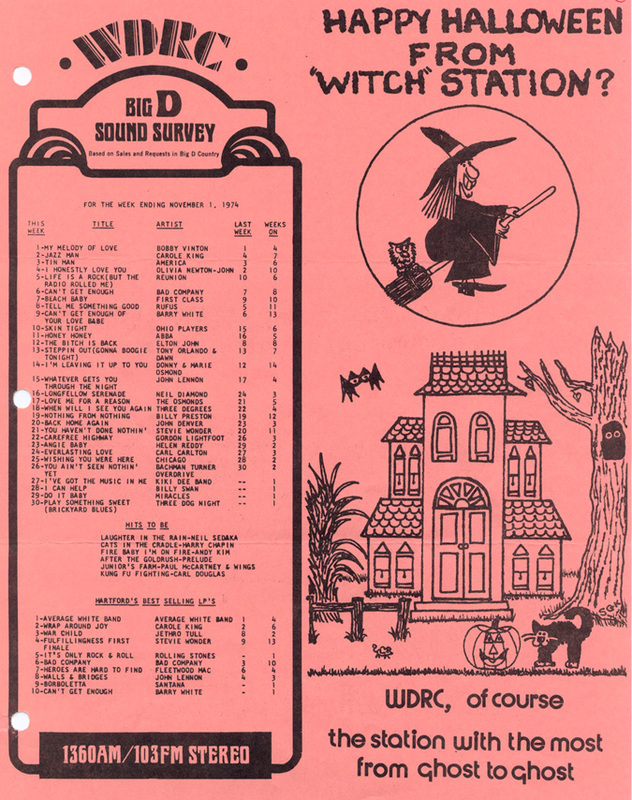 On October 28, 1968 the first WDRC Big D Big Sound Survey was issued. 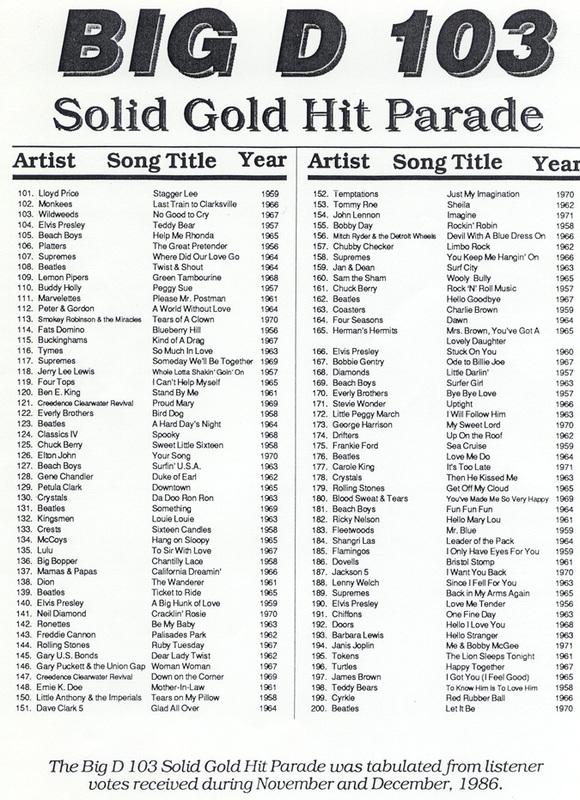 That title was dropped altogether in the playlist issued October 20, 1978. 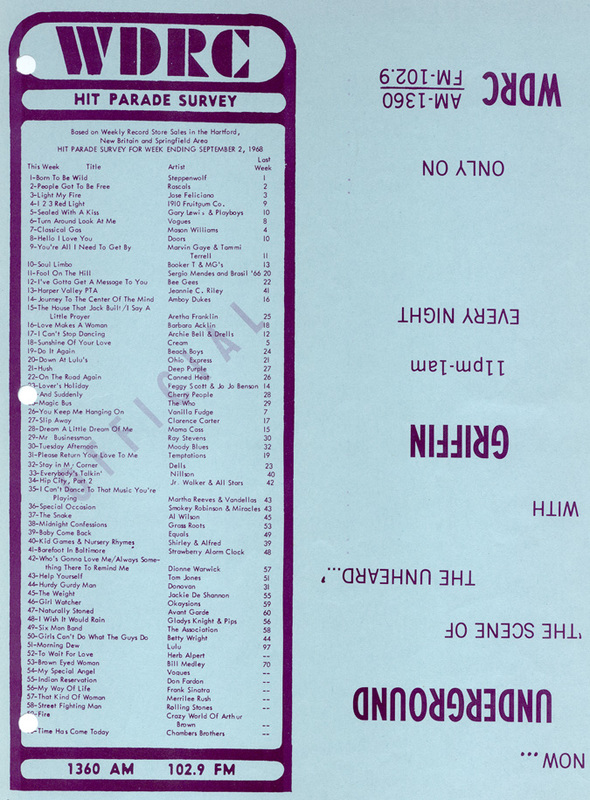 Year-end lists were printed in the newspaper, appearing as Hartford's Best Selling Sixty through 1969; after that they were listed as Hartford's (100) Best Selling Songs. 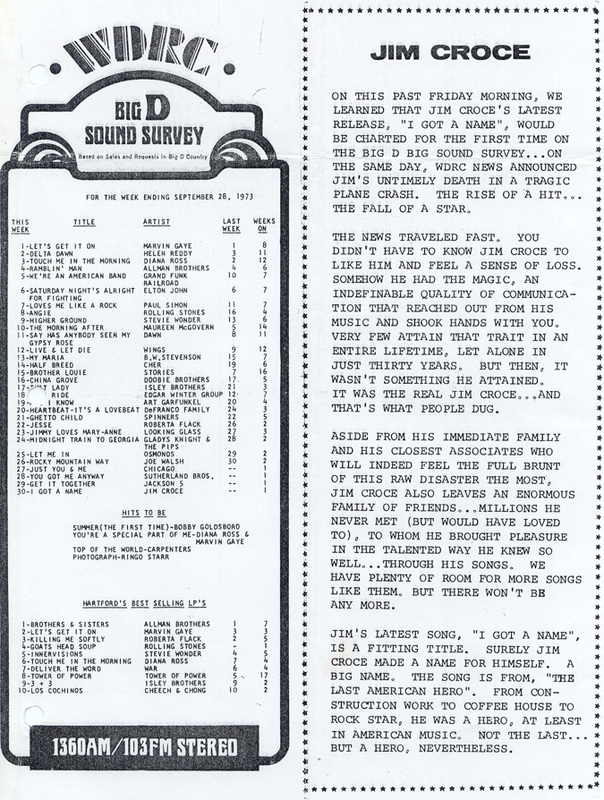 The Big D Big Sound Survey for the week ending July 2, 1971 (above) noted an important change in the way songs charted at WDRC. 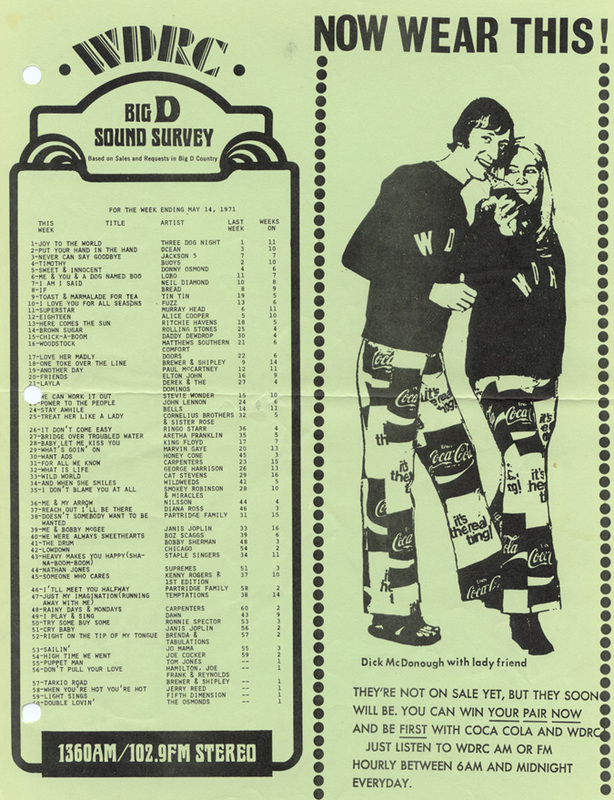 Click on the following links for a sampling of WDRC music surveys; be advised that they are large graphic files and will take some time to load.